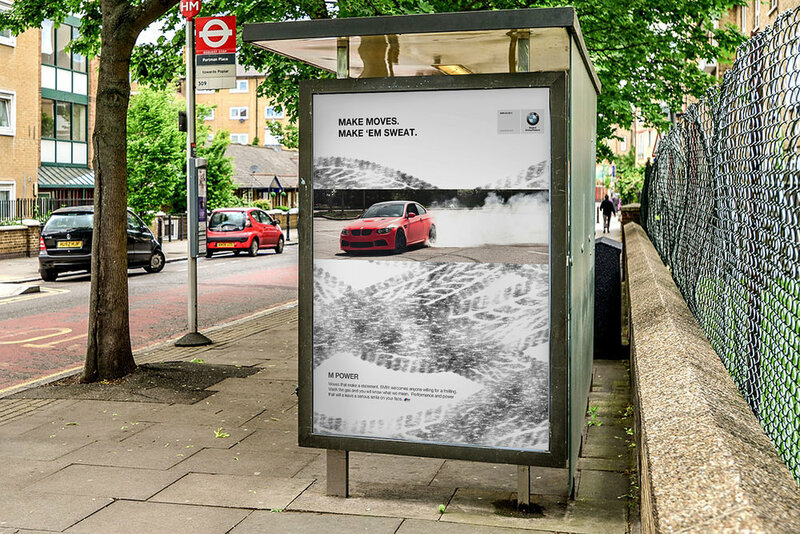 The challenge was to create two contrasting 40x60 transit stop display ads focusing on the bipolarity of the BMW M3. I used Elegance vs Chaos as inspiration. Completing this project with a little time to spare, I decided to try some new techniques and draw a BMW badge against a carbon fiber backdrop utilizing both Photoshop & Illustrator.